On February 28, 1803, President Thomas Jefferson got approval by the Congress for an expedition to explore the lands of the Louisiana Purchase. 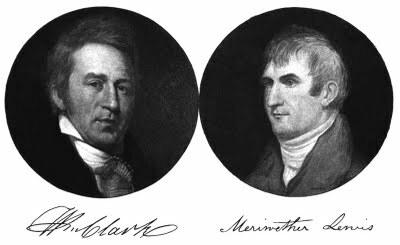 Meriwether Lewis and William Clark and about 31 other men began the journey.Originally given $2500, the final cost of this trip came to around $38,000. 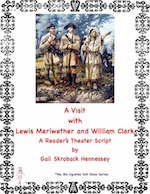 Learn about the Lewis and Clark expedition with this fun and informative webquest. THERE ARE 9 WEBQUESTIONS in the COMPLETE VERSION. 1. William Clark spelled the word mosquitoes 26 different ways. The pesky bugs were a real problem on the journey! 2. About 140 different maps were made. 3. After reaching the Pacific Ocean,the group decided where to stay for the winter. Sacagawea was allowed to vote(about 100 years before women got this right). Clark's slave York also was allowed to vote( about 60 years before the end of slavery). THERE ARE 9 FUN FACTS in the COMPLETE RESOURCE.